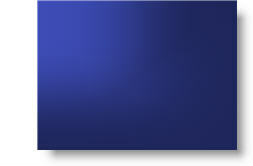 Here is the finalized background with the title area drop shadow. 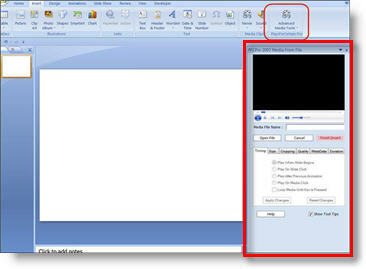 Click here to download PowerPoint file. 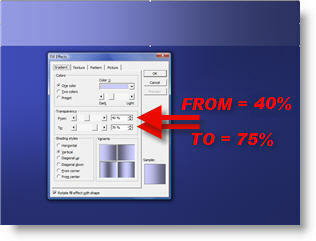 For virtually all presentations I develop the custom background art and elements in Photoshop. 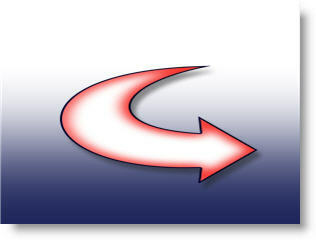 But with creative use of the available tools in PowerPoint, some great effects can be achieved! Depth creates shadows. So adding a drop shadow is an easy way to add depth to this background. Using a very thin gradient autoshape is all that was needed. 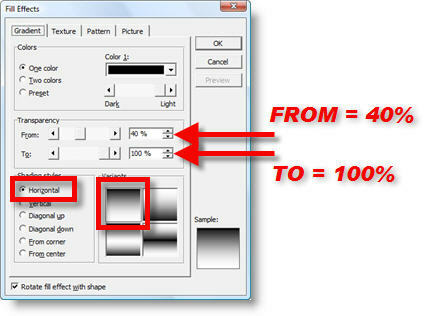 Here are the FILL EFFECTS settings to create the drop shadow (note I am using black, but not starting with a solid color, 40%, to create a “dark grey” that mixes with the other colors). Using another gradient autoshape I created the title text area. By having the more transparent area over the already darker right corner another sense of depth is created. To create visual depth I layered some semi-transparent gradients to create lighter and darker areas (that were not overly linear). 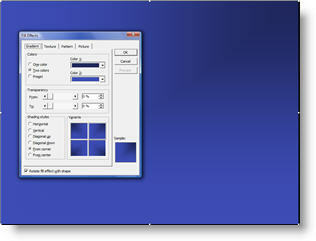 The second autoshape is a gradient, that begins with the darker blue and goes to transparent. Here is this element placed over the right side of the slide. Layered on top of the first full size autoshape the upper right now has a larger dark area than the rest of the slide. 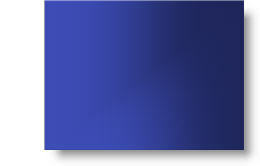 My goal was to use a blue from the corporate color scheme and develop a visual with a sense of depth and subtle motion. The first element is a full screen autoshape. 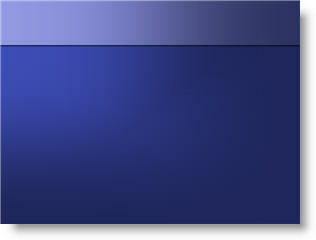 The base color is a blue from the corporate color scheme. The secondary color is a darker version of the same blue. 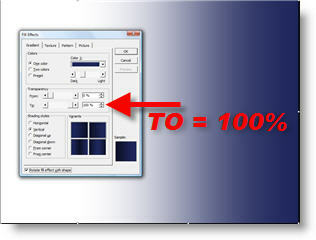 Using the FILL EFFECTS options the darker blue radiates from the top right corner. Next we begin layering autoshapes. On a recent project the specs were to develop a visually dynamic presentation, but maintain an extremely small files size (goal = under 2MB for 75-100 slides – with images!). The first place was to begin with the template backgrounds. Because native autoshapes are vector based, they have the smallest files size – especially when needed as full screen images. Over the next few posts we’ll build the background one autoshape at a time. I have been fortunate enough to beta test and enjoy using the PFC Media add-ins since their inception. For those unfamiliar PFC stands for “Plays For Certain”. If you look at my top 10 recommended PPT add-ins on the TLC Creative website you will see PFC Media listed. The developer goes to enormous effort to assure this software works! Just a few weeks ago the official 2007 compatible version of PFC Pro was released. 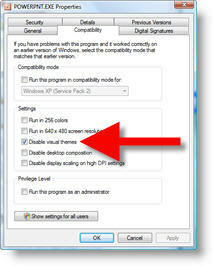 If you add movies to presentations, I definitely endorse this as the best solution available. Click here for the PFC website. Kathy Jacobs’ full review of PFC Pro 2007 is posted here. 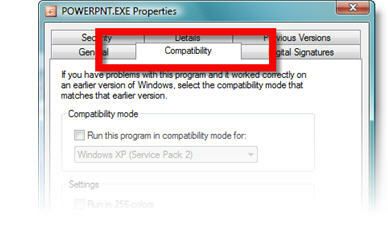 So I can pass along others experiences with Vista, send me an email (link is on the right) letting me know if things do, or do not, work on your computer – or if things work with earlier versions (PPT 2000, XP, etc. ).